If you have allergies, some office plants can help, cleaning the air and making it easier to breathe. Unfortunately, other varieties can actually make your allergy problems worse. 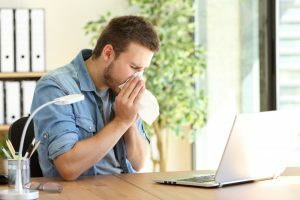 Choosing the right plants for your office interiorscape can mean the difference between enjoying a healthy, comfortable environment and suffering the sneezes all day long. Fortunately, you don’t have to turn to expensive, rare flora to keep your allergies at bay. Several common office plants are low on the pollen scale and help filter sinus-irritating toxins from the air. 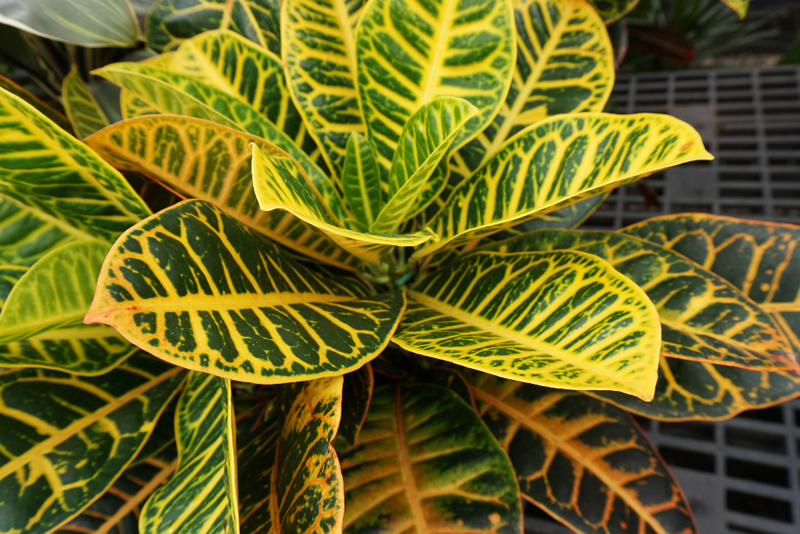 The best air-filtering plants include peace lilies, English ivy, mother-in-law’s tongue and red-edged dracaena, as these varieties clean multiple toxins from the air. Many other plants offer a lesser degree of air clearing, but are still good choices for an allergy-friendly interiorscape. Some palm varieties — including the Areca, bamboo and dwarf date palms – can benefit the air quality in your workplace. Or, you can choose Chinese evergreen, flamingo lily or chrysanthemums. Many common indoor plants send pollen into the air. For allergy sufferers, breathing these airborne pollen particles can trigger serious sneezing and other symptoms, such as watery eyes, congestion and headaches. Fortunately, most plants that are high on the pollen scale grow outdoors – leafy indoor plants seldom release much pollen into the air. But, some indoor varieties are allergenic. Daisies, Bonsai trees, weeping fig and flowering maple have no place in an allergy-prone workplace. Selecting the right office interiorscape plants is just the first step in creating an allergy-avoidant workplace. All indoor plant varieties have the potential to make allergies worse if they aren’t cared for properly. 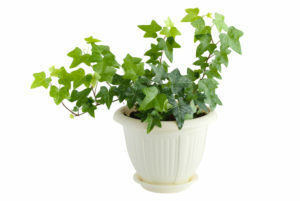 Dust can be a big problem for anyone with allergies, and office plants can be dust magnets. To minimize the suffering, get rid of accumulated dust buildup regularly. Every time you water, wipe the leaves with a damp paper towel. Once a month or so, place the plants outdoors or in the sink and lightly shower them with water, to rinse away the buildup of airborne pollutants on the foliage. Speaking of watering, excess soil moisture can lead to mold growth – another common allergy trigger. To keep moisture under control and prevent mold, water office plants only when the surface and first inch of soil are dry. If choosing the right plants and caring for them properly seems too time-consuming, let a professional plant service handle the work. Living Creations, serving clients throughout northern Utah, provides a full range of office interiorscape services. From plant selection to regular maintenance and care, our team handles it all. To schedule a complimentary consultation to discuss office plants for your business, contact our Salt Lake City office today.